Ellie Greenwood was born in Dundee, Scotland. Greenwood was eight when her family moved to the flat farmland of Norfolk, England. After graduating from university in 2001, Greenwood decided to work in Canada for a UK ski package vacation operator and has remained in Canada since. “I love the big outdoors and the more relaxed lifestyle here,” she says. After moving to Canada, Greenwood participated in a running clinic and took to the sport immediately. 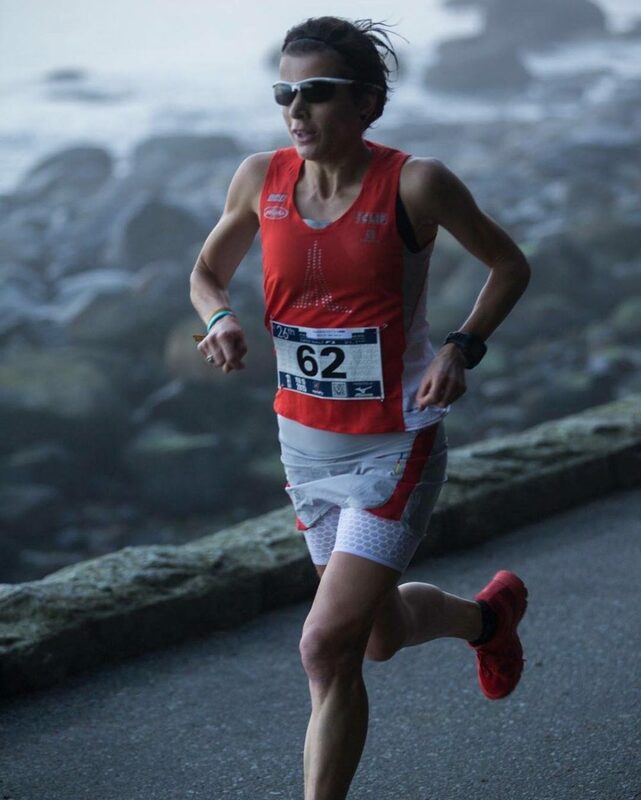 Greenwood represents the UK at the 100K world championships after winning her first attempt at the distance in May at the Elk-Beaver 100K on Vancouver Island, then her longest race to date. After training solo all winter, she set a course record of 7:36 to make the British team. Presently she is online Ultra running Coach for Sharman Ultra. results. She won the inaugural Telluride Mountain Run Vertical Hill Climb and was first female at the Moray Marathon in Scotland.